Whorf, I here suggest, had stumbled upon the core problem of the thing-in-itself, and with that, the core problem of the thinking of our entire Western civilisation. The interpretation of the thing-in-itself is not critical here. It is sufficient to understand it most simply as any 'object of inquiry'. Let us begin at the beginning. First, the Scottish philosopher David Hume observed that all knowledge may be subdivided into relations of ideas on the one hand, and matters of fact on the other. That is, one begins with a handful of facts (which includes objects), and these facts stand in a certain relation to one another. This view has remained engraved on metaphysicians' minds ever since. Generations later, Bertrand Russell wrote that many philosophers, following Immanuel Kant, have maintained that relations are the work of the mind, and that things-in-themselves have no relations. While this is not to say exactly the same, the thought is not far from Hume's. 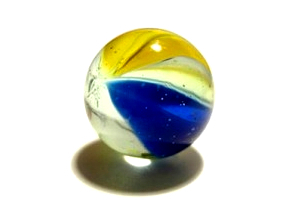 A marble is a thing. A house is a thing. Even gravity, ideology, taxonomy are things (we call them constructs), which may in turn be related to other things. In a sense, even a unicorn is a 'thing', although one is unlikely ever to find one. Of course, our 'things' may not be exactly the same as we perceive them – but the point will be clear. But there is a mistake. There are no things, there are no objects, and therefore there are no facts. Hume got it wrong, and so did every philosopher since. One finds only relations. The mind is incapable of comprehending anything else. No mind can ever settle on a 'thing' alone. Someone might object: 'But this is a coffee cup, and that's a fact!' But is it really? Take away the table on which the coffee cup rests, and what does one have? One has a coffee cup which rests on nothing. If we ever found such a thing, we would marvel that it exists. One would have scientists queuing up at the door to see it. Further, the table, on which the coffee cup rests, stands on the floor, and this in turn rests on the earth, and so on. The same is true if we down-scale our thinking as it were. Supposing that we should say, 'This coffee cup has a handle.' The same applies. We have to have a mind for a whole world of relations to be able to speak of a handle. We never worried about this much – before the publication of Samuel Johnson's great dictionary of 1755. But since then, our 'things' have been defined, and they have been defined (if implicitly) as things-in-themselves. But this they are not, as we have seen. This now promises to explain Benjamin Whorf's puzzlement over the dangerous way in which people went about with empty petrol drums, and our continuing fascination with the same today. We have come to see petrol drums today as things-in-themselves, without the obvious relations in which they are involved. One might wonder at the possible significance of it all. Quite simply, when we speak of the world today, our language causes us to view it as people viewed Whorf's petrol drums, namely, as a profusion of things-in-themselves. Yet we deal with things far more dangerous than petrol drums. Hallo Thomas! I don´t agree with your toughts, sorry. A strong inexperienced man or an aborigin from a world far away doesn´t know, that in a gasoline drum is or was explosive stuff and that there maybe still is explosive vapor present. A cultured man knows. That makes the difference in the behaviors. With the “thing in itself” it has nothing to do, I mean. The “thing in itself” stands in touch with the question: Am I able or is it generally possible – only by consideration, without any previous knowledge or experience - to identify its purpose. Kant say with an intensive argumentation: Yes, at least partly. Others say: No, not without experience. As thing in itself ment is for instance a thing, one has never neither seen before nor heard about,not even similar, which is absolutly new and not involved in known functions or known things. Yes, I realised that there was too much uncertainty surrounding the concept of the thing-in-itself in my essay (thanks to a private message from Theo), so for now I put in my own very broad definition: 'any object of inquiry', which presumably would include constructs. So we'll keep that idea in focus in this reply. Yes, the wise will understand that the world is not as simple as objects 'in themselves', and will not be short-sighted enough (for instance) to toss cigarette stumps around any kinds of petrol drum. Yet I think that there are powerful examples of how the notion of objects 'in themselves' – the isolating of objects in our minds, in our dictionaries, in our theories, and so on – has been devastating in its consequences. A major example comes from 'scientific control', which is the isolation of individual mechanisms in the artificial circumstances of carefully controlled experiments. Anything beyond the objects under investigation must be excluded. And so (to give some too simple examples), nobody foresaw smog, when the petrol engine was invented, or radioactive contamination, when we first split the atom. The German philosophers Kamlah and Lorenzen called this 'the most plaguing problematic'. This 'progressively screening things out', they said, carried a heavy price in side-effects. It goes much further: David Korten provides examples of a global scale: deepening poverty, social disintegration, and environmental destruction. These are due to the modern way of thinking, which has a lot to do with thinking of objects 'in themselves'. Universally, there is now the realisation that we have lost our sense of the inter-connectedness of things, which is holism. My essay therefore claims that this loss of holism can be linked to the way in which we think about the basic objects of our world, which actually, do not exist as we imagine that they do. Understood philosophical, Thomas, you activate the theory of determinism, there the sector of “causal determinism”, with the interesting question of predictability: Are there in the world at any time conditions, which in a certain sense fix, what will happen in the future? If there is determinism, there must be predictability. But that presupposes knowledge of the laws of nature and the state of the world at certain date till the last detail. For this is capable only a 'Laplace's Demon', a being with superhuman intelligence. He could predict a future event, but only for the moment, because the parameters of the relationships are constantly changing. So: You don´t decribe a problem of insufficient evaluation of a thing (reducing it to the “thing in itself”), but the problem not to be able to predict totally the events in the appliance.